zSpace is an all-in-one hardware, software and education content platform. With AR and VR capabilities, apps, learning activities and compatibility with various third party software providers, the possibilities are endless. zSpace is an augmented reality leaning platform with apps for science, technology, engineering, art, math, CTE and allied health. 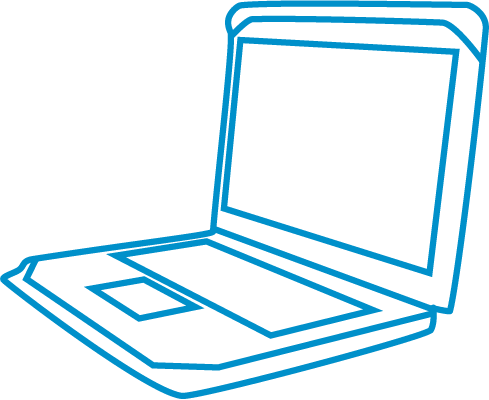 Users can purchase the zSpace All-in-One, zSpace Laptop, or All-in-One and Laptop implementation. 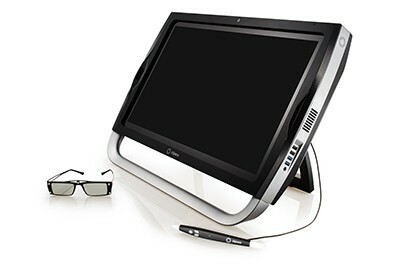 zSpace All-in-One has three main hardware components. A computer, VR/AR glasses, and stylus each contributing to an immersive experience. The computer creates immersive, interactive experiences for users. The 24" HD Display features a Windows 10 Operating System. This experience is paired with a set of lightweight VR/AR glasses and stylus, which allows users to 'pull' an object out of the screen and manipulate it 360 degrees. 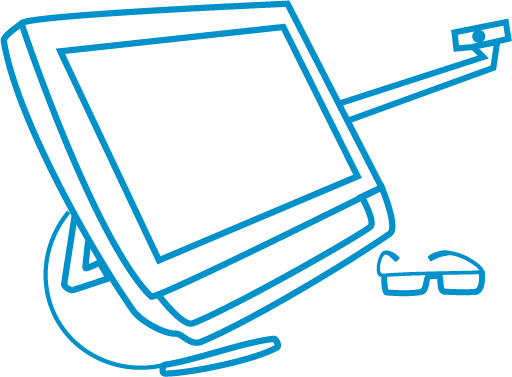 zSpace can be complemented with a zView Camera and Armature set, so the experience can be shared with others. Leverage both the All-in-One and Laptop by zSpace. The All-in-One creates a demonstration station for instruction, then students can use the laptop for personalized learning. The All-in-One and Laptop Implementation is for classrooms interested in mixing group instruction and personalized learning. Students can engage with each other and receive instruction around the All-in-One, then go to the Laptop for a personalized learning experience. Part of the power of zSpace lies in its educational apps ranging from automotive to health and STEM. zSpace Studio features thousands of models with pre-made activities. Students can explore anatomy, animal, astronomy, biology, building, mechanical and more. Newton's park is a physics playground that enables students to discover through experimentation. They can change gravity, stop and reverse time and build simulation. Student's can learn troubleshooting and the basics of electrical circuits in a safe environment. Teachers can limit or break circuit components to enhance student learning. Curie's Elements features an interactive periodic table with Bohr and atomic models of each element. Students can visualize trends in the atomic table or try out the atom builder. Elementary and middle school students learn math like numbers and operations in Base 10, measurements, fractions, functions, ratios and more. Students can get a jump on 3D creation with this introduction to creating, customizing and preparing digital objects for 3D printing. GeoGebra offers students information on geometry, algebra, spreadsheets, graphing, statistics and algebra in 3D. This is an encompassing science package focused on interactive dissection on human anatomy, botany, zoology, earth science and microbiology. 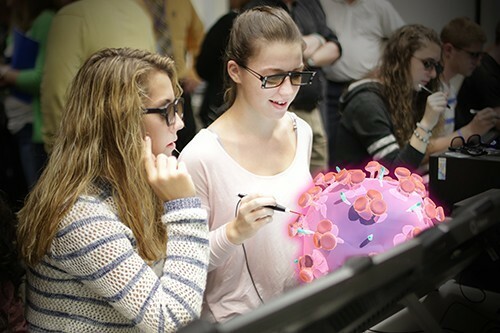 3D Anatomy learning enables students to perceive spatial relationships. This program by Vizitech is used to practice ECG electrode placement, study abnormal ECG's and learn about the relationship between electrode placement and ECG strip. The program by GTAFE features assembly and disassembly within a virtual mechanic shop. A 3D interactive study guide by GTAFE with text and simulations to deeper students understanding of automotive training. Students get hands-on training in welding gestures, WAG and MMA, through exercises with a handheld welding simulator. This program is by Mimbus.